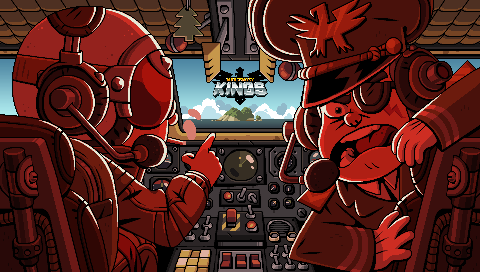 Redemption draws near for those of you who have not yet experienced the chaos of Mercenary Kings on Steam. Developer Tribute Games hopes the four player co-op 2d shooter gets a proper launch in early 2014 on both Steam and PS4. Those chomping at the bit to play may purchase the title immediately while in Early Access on Steam for $14.99. If you somehow manage through this next year without playing this homage to side scrolling shooters of eons past, you should take a moment to consider where your life went so wrong. 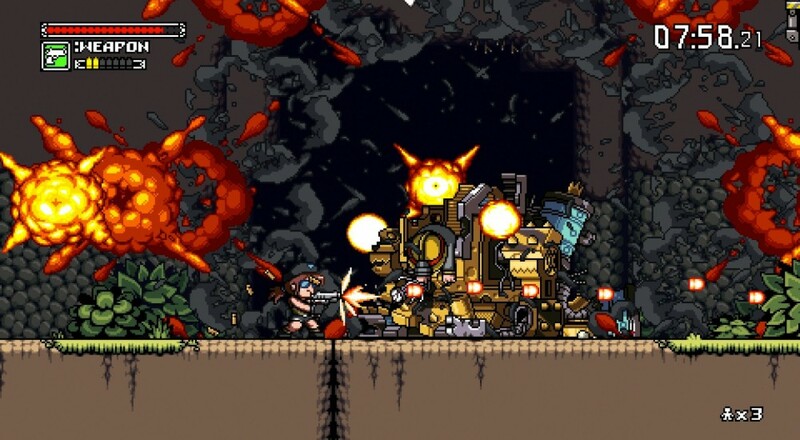 Mercenary Kings is a love story to games like Metal Slug and Contra from the developers of Scott Pilgrim VS The World. Let's take a brief moment to reflect on how much quality is packed into that previous sentence. The game itself is already complete, with multiple missions, objectives, items, and weapons. On the table now are squashing bugs and making a smoother experience for both local and online co-op. From experience, connecting to multiplayer games has been kind of whacky, but everything has been perfectly dandy once in game. My crew and I have been blasting robots with suped up guns and cutting the 16-bit blood out of knock-off Nazis ever since this thing landed on Steam. It's a colorful romp reminiscent of titles I adored as a youth. While not quite so brutally difficult as Contra, it still scratches that 2d shoot'em up itch. Page created in 0.5463 seconds.